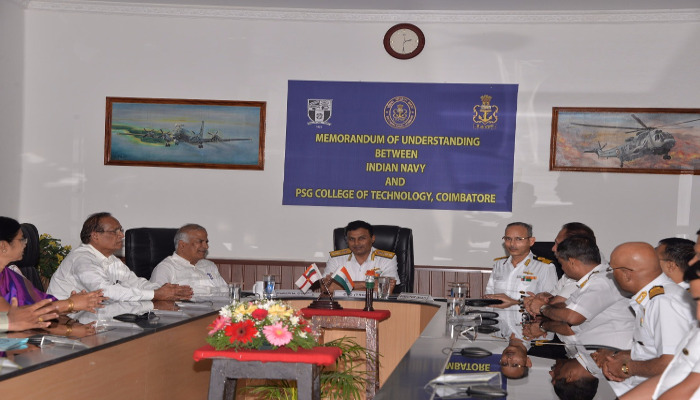 A Memorandum of Understanding, (MoU) was signed between the Peelamedu Samanaidu Govindasamy College of Technology, Coimbatore (PSG CT) and Indian Navy on 29 October 2018, at naval base Kochi aimed at synergising the intellectual and material resources towards meeting specific goals and problem solving efforts. 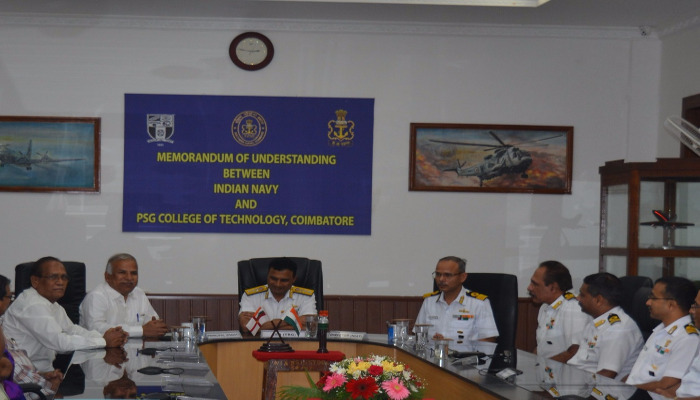 The event was presided by Rear Admiral K Swaminathan, VSM Chief Staff Officer (CSO) Training, Southern Naval Command. 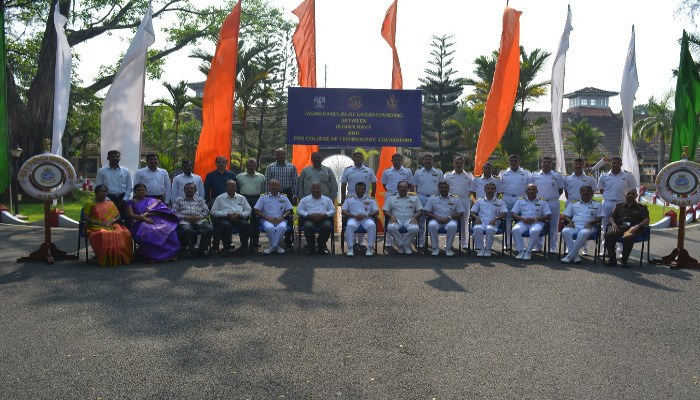 A twelve member delegation from PSG College headed by Principal and Indian Naval Officers from various units attended the function. 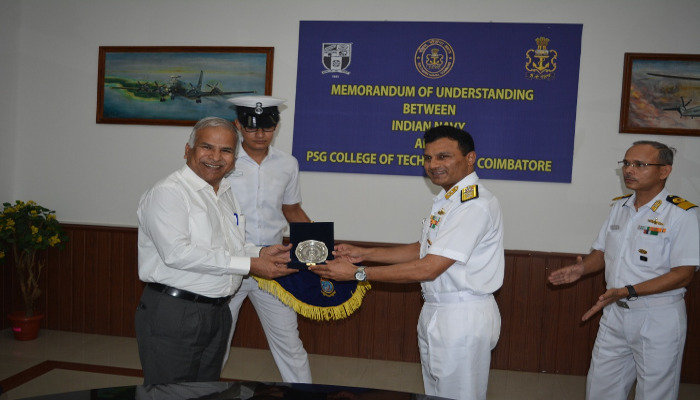 The MoU was signed by Commmodore Yogesh Chandra Pandey, Director Naval Institute of Aeronautical Training, (NIAT) on behalf of the Indian Navy and by Dr R Rudramurthy, Principal PSG CT. This MoU will benefit both the sides substantially in providing expertise in academics, development of training infrastructure, joint R&D projects and transfer of technology on mutual interest areas, faculty assistance in product/ process modification and modernisation. 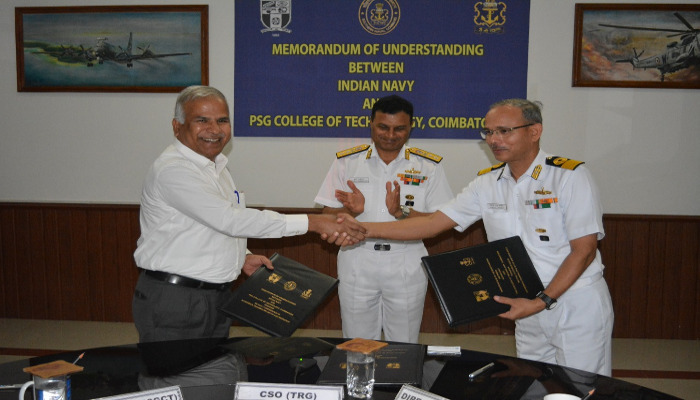 Allocation of four seats to Indian Navy personnel for pursuing post-graduation and unlimited seats for research are the other key highlights of the MoU. 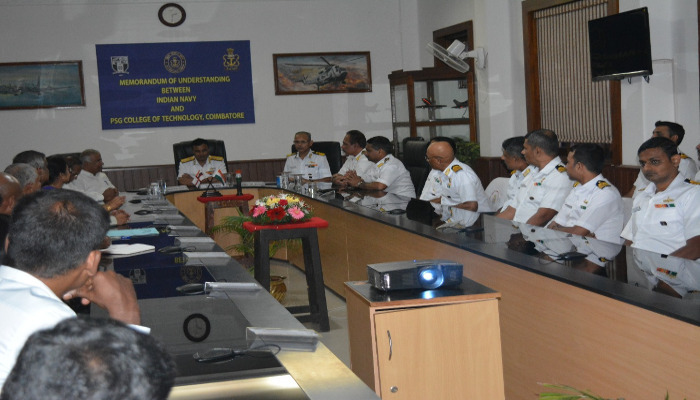 The chief guest in his address said that “it was indeed a red letter day and an event of paramount importance for the Southern Naval Command". 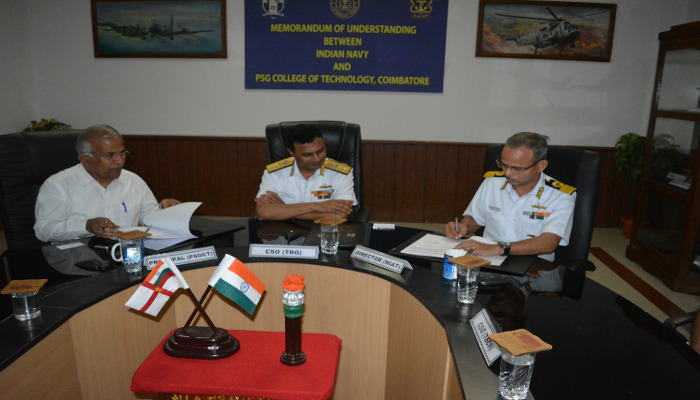 He appreciated the fact that the MoU was arrived at after much thought, deliberations and joint evaluation of proficiencies by both organisations in finalising an elaborate and exhaustive document which will be a road map towards mutual collaboration between the two organisations. 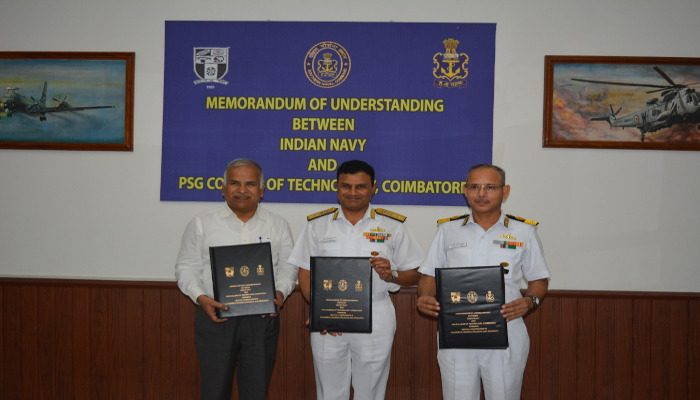 He added that mutual cooperation in academics, training, projects and research in addition to faculty and resource sharing will go a long way in enhancing the technological edge of the Indian Navy.